The technologies and methods described on this website and Energy Environmental Corporation product and design labeling are protected by U.S. Patent and Trademark law. To contact us regarding INTELLECTUAL PROPERTY AND LICENSING, please call (303-941-5100) or email us at Licensing@EnergyHomes.org. Download a PDF version of our license agreement here. To contact us regarding DESIGN SERVICES or SIMPLY RADIANT® PRODUCT INFORMATION, please call (303-941-5100) or email us at DesignServices@EnergyHomes.org. Energy Environmental Corporation (EEC) has been designing and installing high performance Integrated HVAC and Renewable Energy Systems for the past decade. 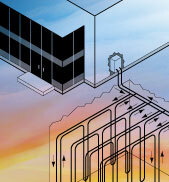 EEC’s proven designs far exceed commercial-off-the-shelf performance of the components that make up these systems. The integrated systems utilize ground source heat pumps (GHP), solar hot water (SHW), hydronic heating and cooling, intelligent zoning for air systems, energy and heat recovery ventilators (ERV, HRV) – powered with renewable energy: solar photovoltaic, small wind turbines or micro-hydropower. Using industry best practices adopted from Europe, EEC has been able to deliver fully integrated systems whose efficiency exceeds by a factor of ten that of conventional fossil fuel HVAC systems. 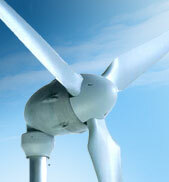 At Energy Environmental, we understand that high performance at a reasonable cost is achievable. We believe that green components integrated as a total architecture far surpass the energy and financial performance of standalone installations. Our meteoric growth in today’s challenging construction marketplace validates this business philosophy. We have created a successful practice for sustainable living and environmentally-friendly systems with a focus on energy savings and the health, comfort, and safety of the occupants. A prerequisite to our design engagements is working with our clients to provide financial justification for their investment. In most cases, the overall investment, including the cost of our services, is cash flow positive when compared to conventional systems. Please visit our Products and Services and System Pricing pages for more details. We are committed to overcoming market obstacles that prevent the implementation of green technology through consumer and design professionals education, contractor training, and cost-effective implementation of our sustainable designs. 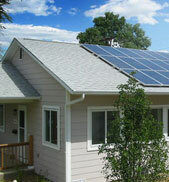 Energy Environmental has invested heavily toward this goal by developing a test bed and demonstration home in Colorado. By “practicing what we preach”, we are able to push the building envelope for systems integration to deliver superior reliability and performance at affordable price points. Information on this project is disseminated online at www.platinumLEEDhome.com. 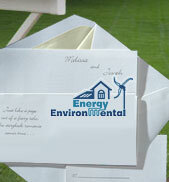 Energy Environmental Corporation's new web site is up and running. 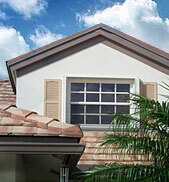 To see the latest information for homeowners and contractors, click here.